Over the past few years, all of the world’s major manufacturers have been jumping on the electric bandwagon, afraid that they may be left by the wayside if they miss the boat. These companies have opened up entire divisions and invested millions, even billions of dollars on staying up to date with electric technology. Smart move?? Most likely. But guess what? While this electric technology has helped to revolutionize the entire automotive world, it still HAS NOT won over the industry yet. That’s because most of the new cars being built and sold today still operate on good old-fashioned gasoline. In fact, less than 1% of cars being bought are electric!!! From the way the news works, you would have thought the number was higher, huh? Anyway, with that in mind, certain automakers have been skeptical about the whole “electric revolution” thing, knowing that a battery powered future is far from set in stone. That’s because there are also other technologies being developed that could knock these cars off course and take over our technologically advanced, fuel efficient highways! Just ask Audi. 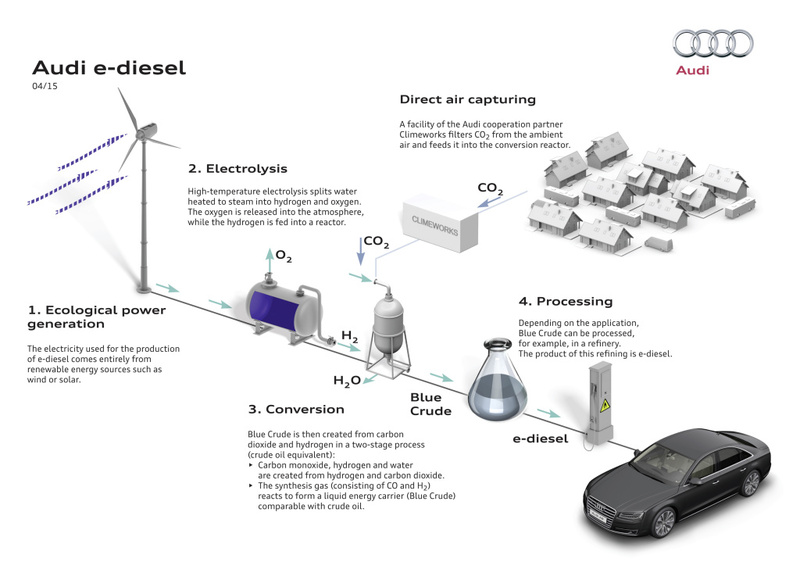 Last week, Audi and partner company Climeworks dropped a press release about their development of a new “e-diesel” fuel that is generated from water, CO2, and green electricity. 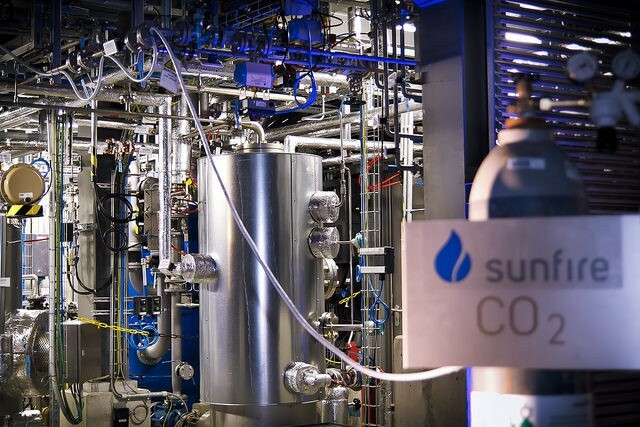 This new fuel, which is constantly being refined and improved, supposedly operates at 70% efficiency while releasing almost no harmful emissions because of its lack of sulfur and fossil-based oil. There’s no word on what the eventual cost of this fuel may be, but developers insist that they believe that this option could work at an industrial level and fit in with the popular cars that are dominating the roads today. Of course, only time will tell if that will actually happen. One thing is for sure, though… with less than one percent of today’s sales, electric powered cars are not exactly a lock when it comes to the future of our roads. This entry was posted in Culture and tagged audi, e-diesel, fuel. Bookmark the permalink.